Hotpoint loves home, in all its various types and sizes. It's a place for relaxation, to entertain, to nurture and bring up the family. A place to live your life and an expression of who you are. 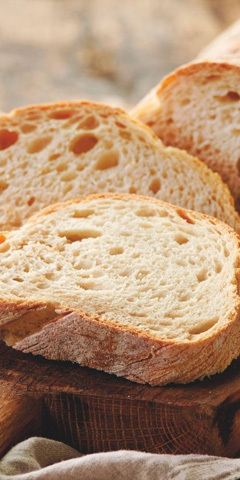 Quite simply, our mission for over 100 years has been to make your life at home easier. So whatever, you need Hotpoint has developed a product for you. A range of products, that always deliver outstanding performance, with the latest intelligent technology and functional stylish design. Customer care is really important to us which is why we always maintain constant contact with our customers. We do this through our extensive customer service support, our award winning logistics team, and if you ever encounter any problem with an appliance, you know you are in safe hands with our fully trained service engineers. It all started in 1911, when the ‘Hotpoint Electric Heating Company' was officially founded – the first major product was an iron that got hot at the point to help get shirt collars stiff. From that point, we have never looked back. The following years saw the first Hotpoint Washing Machines, Vacuums, Refrigerators and much much more! 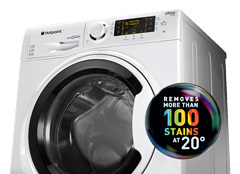 Now, a Hotpoint appliance is sold every 19 seconds in the UK and you will find a Hotpoint appliance in 2 out of 3 homes. 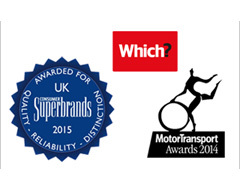 It's easy to see why we were voted as a UK Consumer Superbrand for 2015. Good to know we look as good on paper, as we do in the kitchen. A century might be up since we started making appliances, but you can be certain that Hotpoint isn't resting on its laurels. We have a hard-earned reputation to build on – putting innovative design, advanced technology and our own evolving style into millions of homes. Being the best in our field for reliability, quality and distinction will always be our goal. It's given us an award winning status that many aspire to. In many ways, our success has grown from staying close to our values at the heart of our brand … Effectivenss, Intelligence and Style. It's easy to see why we have been voted 'Britain's Most Trusted Brand of kitchen appliance' for the 11th year running*. Our most advanced anti-stain system yet. Using Direct Injection Technology the Ultima S-Line removes 100+ stains at 20°c whilst keeping colours and fabrics safe.